Humans tend to see the world as a solid ball of rock coated with a thin layer of soil and life. But lately, scientists have been finding out planet looks more like a wheel of cheese, one whose thick, leathery rind is perpetually gnawed and fermented by the microbes that live in the planets innards. There is a two-way relationship between soil biota and agricultural production. 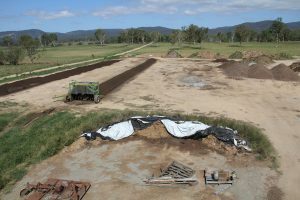 Soil organisms (biota) carry out a vital range of processes that are important for soil health and fertility in both natural and managed agricultural soils. This subterranean microscopic biosphere provides the energy and nutrients for the biota, which consume the organic matter (OM), and improve nutrient availability and soil structure. Agricultural practices can be both beneficial and detrimental to the soil biota. 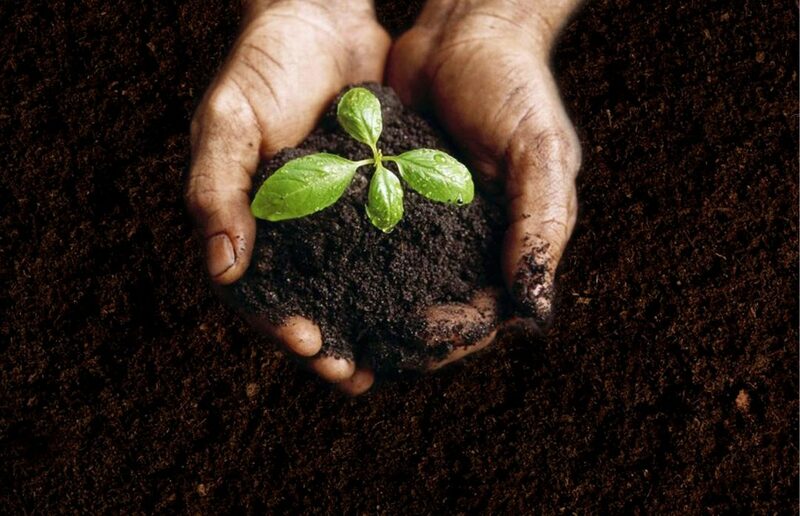 • Most Soil biota activity is concentrated in the top 1m of soil, but extends deeper than 50~100 m.
• Millions of organisms exist but only a fraction have been identified e.g. 5% of fungi and 3% of nematodes. 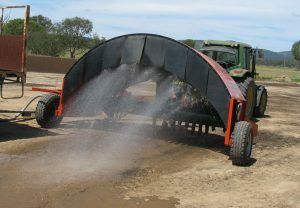 • 80 – 90% of soil biological activity is carried out by bacteria and fungi. • Resistance to extreme changes in the soil environment increases as organisms decrease in size. • The reproductive interval reduces with a decrease in organism size e.g. bacteria reproduce themselves in hours whilst earthworms may take weeks. 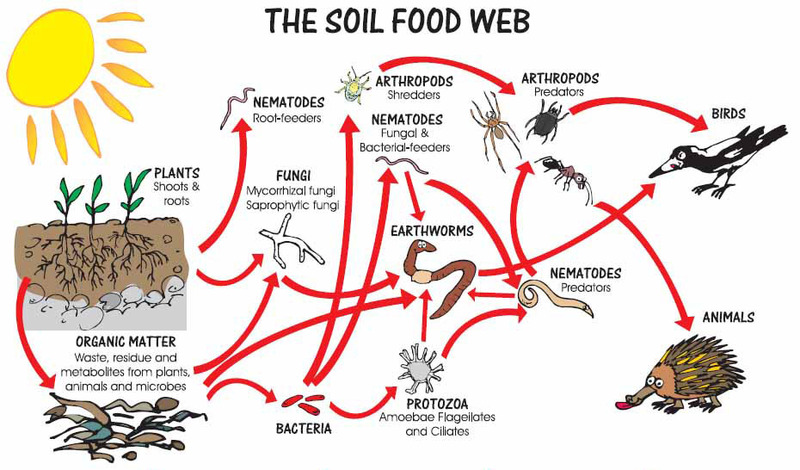 • In natural and managed farming environments a complex food web exists. These ‘predator-prey’ relationships help control the balance of species present in the soil, and the balance can be destroyed with poor farming practices. 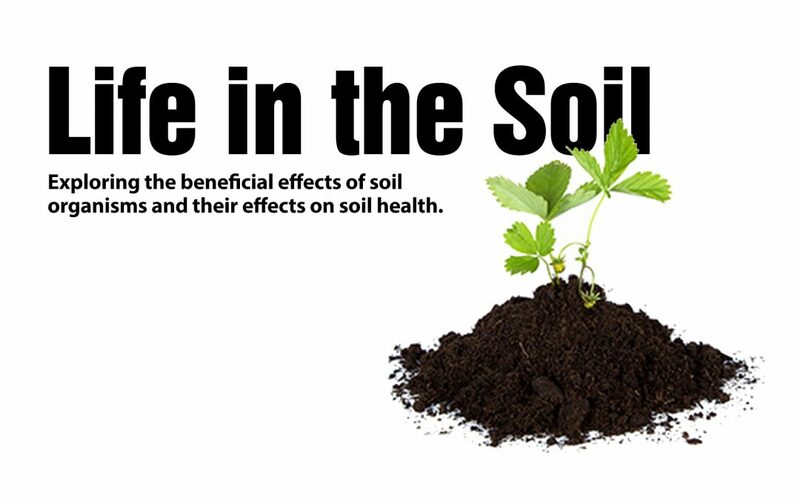 • Studies have shown that not only does heathy Soil biota activity improve yields, it reduced the incidence of plant disease. Deep life – Researchers at the Deep Carbon Observatory announce the results of the 10-year study suggesting 70% of bacteria and archaea exist in the subsurface of the Earth.